Northwestern Istria is known for its many attractions: well-kept beaches at Poreč and Umag, the famous Euphrasius Basilica and the Savudrija Lighthouse, the Baredine Cave and the observatory at Višnjan, enchanting medieval towns, which adorn the hills of inland Istria and, of course, wonderful Istrian wine, olive oil and truffles. 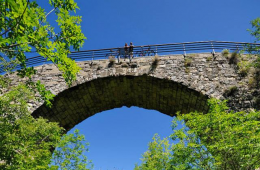 Recently, however, the attention of travellers, sightseers, tourists and adventurers is drawn by a thin, winding line that connects all these attractions – Parenzana. 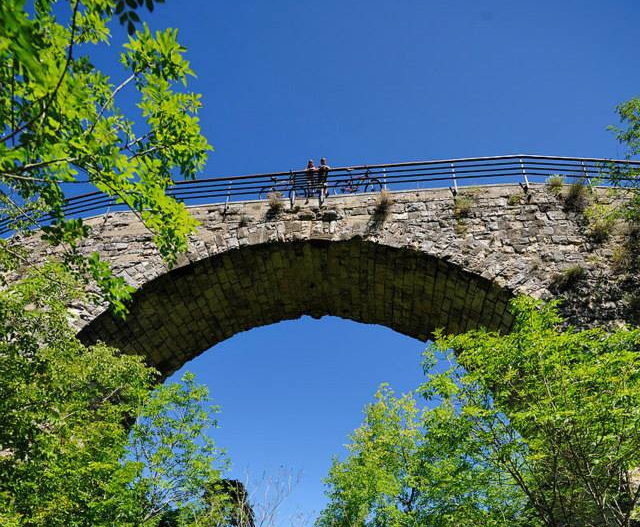 Parenzana was a narrow-gauge railway, operating in the northwestern Istria between 1902 and 1935 and connecting the ports of Trieste and Poreč with villages and towns in the interior of the peninsula. 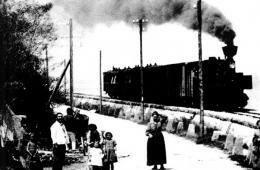 In just 33 years of operation, the railway greatly contributed to the economic progress of Istria, transporting wine and olive oil from the surroundings of Buje and Motovun, salt from the salt-pans at Piran and Sečovlje, Istrian stone, lime, coal and wood, various agricultural products and, of course, passengers. On its 123 km long route, the small train linked 33 towns from Trieste to Poreč, so that today it would run on the territory of three countries: Italy – 13 km, Slovenia – 32 km and Croatia – 78 km. Although it operated only a little more than three decades, the small railway left an indelible mark on the entire area. Stone arches of viaducts still bridge the canyons of thunderous small rivers and dark tunnel entrances seem to be forever rooted into the steep wooded slopes. Along the line, typical landmarks and milestones remained scattered, marking the kilometres from Trieste and bearing an abbreviation of TPC (Trieste-Parenzo-Canfanaro), which reflects the aspirations of the builders to extend the route from Poreč to Kanfanar, where the railway could connect with the important rail line to Pula. People also continued to live with Parenzana, since the families of railway workers remained living in most station buildings, but eventually also other tenants moved in. The inhabitants used some parts of the route as cart tracks, while enterprising villagers found ideal conditions for mushroom cultivation in cold tunnels. 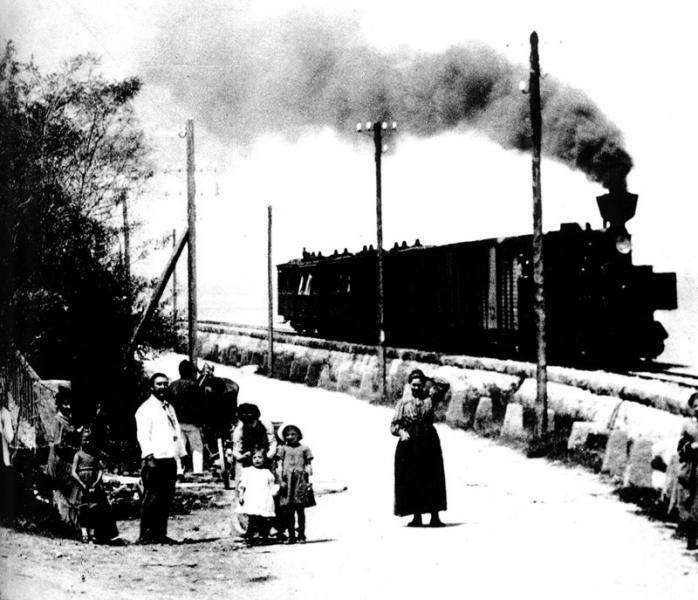 On the centenary of the opening of the line, an initiative arose to restore this unique railway, which was connecting people and nations in the beginning of the 20th century. In 2002, the County of Istria and its Administrative Department of Tourism, in cooperation with the Association for the Reconstruction of the Poreč-Koper-Trst Railway, laid the foundation for the future project “Parenzana – the Route of Health and Friendship”, with a view to arrange the entire railway route for the use of hikers and cyclists. 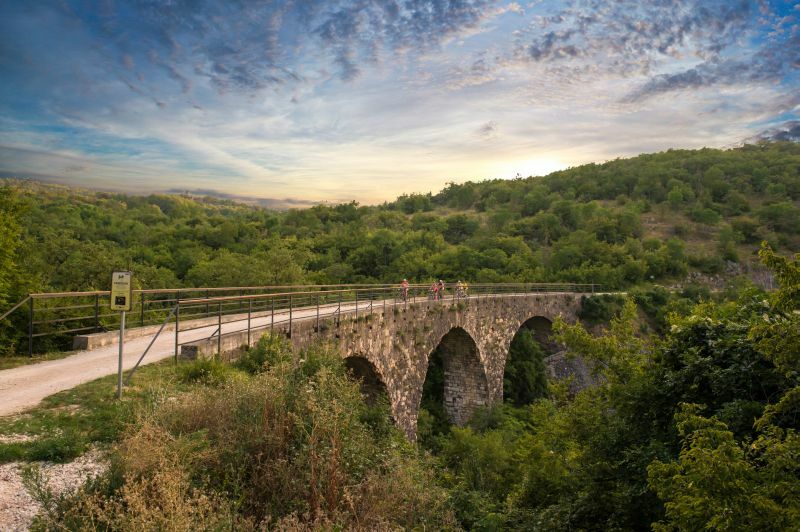 Since then, the entire track has been arranged an marked by characteristic signposts, secured by guard rails on bridges and viaducts, the tunnels have been lit and auxiliary facilities set up that tell the story of Parenzana to visitors.